alarm:clock | Inside New Tech Ventures. Stay Alert. Following the tech news coverage of Square, much of it focuses on how Jack Dorsey has built a deep bench. ReCode does a wrap-up of CEO candidates should Dorsey vacate. One comment was annoying. Is that the Steve Jobs’ legacy? CEOs must be strong on creeper values. Facebook is great because Mark Zuckerberg was a tool in college. Twitter’s dysfunctional management team gave them a leg up? I worked with Gokul when he was CEO of Chai Labs and he was terrific. Sure it was much smaller than Square but he was no push over. And prior to that he built and ran Adsense, which is larger than Square. He is a tough negotiator. Better yet at the end of a tough negotiation the other party gained appreciation for him. I currently work at Automattic which has had two very nice people serve as CEO – Toni Schneider and Matt Mullenweg. I believe that if these two were not so nice Automattic and WordPress would not be so successful. The platform enjoys broad support because people in the community trust the good intentions of the leadership. So I hope this comment is just a case of a reporter getting a comment from a single individual who for whatever reason prefers nasty people and not a consensus that tech CEOs need to sneer their way to the top. Further coverage focuses on Uber and Google becoming rivals in driverless cars. What seems to be missing in the analysis here are the auto makers. 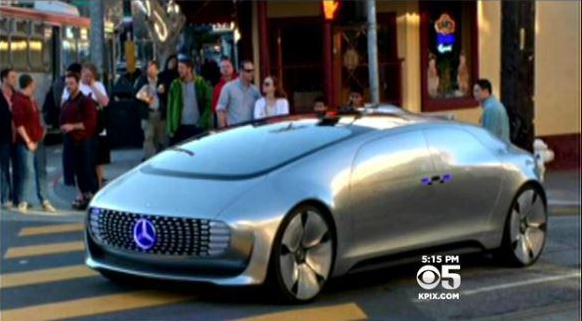 Mercedes Benz is working on a driverless car. Ford, Audi and of Course Tesla are also in R&D here. Imagine a few years forward instead of launching your Uber app you launch a Mercedes or Tesla app to summon a driverless car. At this point why would you need Uber? Today Uber’s value is that they command the driver pool. The app itself is not anything that a car maker could not easily replicate. Why would auto makers want to compete with Uber? Well Uber is valued at $40 billion+. Tesla is valued at $25 billion. Why wouldn’t Tesla want to have additional earnings simply by flooding a city with driverless cars and adding a driving service to it’s app? Who has the advantage with driverless cars services like Uber or auto-makers like Mercedes and Tesla? It might be a wash. But auto-makers invest a lot in marketing, they can acquire the autos at cost, and because they control the supply chain they might be able to get a jump on Uber by getting driverless cars into a city at scale faster than Uber can. We won’t know how this plays out for a few years but for those interested in an impending Uber IPO it will be interesting to see the extent to which they flag auto-makers as a threat. 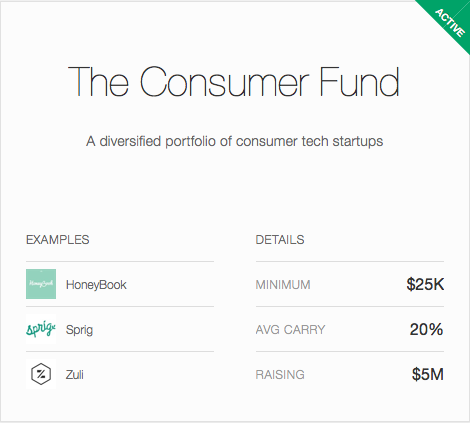 AngelList screens investors to make sure they are capable of making good investments. However, my first reaction to their syndicates program is that this isn’t a good investment. Then I heard out AngelList syndicate managers to hear why they think it is a great deal for investors. Unfortunately it will be a year or more before data is available so for now we need to reason it out. Syndicates are not a good deal for investors. – 20% carry is too much. I imagine the trade-off is that investors are willing to pay a 20% carry so they can invest less in each deal and make more investments. But if your syndicate invests in the next Uber you will pay them 20% of your profits. Wouldn’t it be better to make direct investments and pay no carry? I imagine your chances of hitting the next Uber are comparable if you invest yourself. – One benefit of direct investment is that you get to know the founders and hopefully you help them. You don’t get that connection to investors with a syndicate. Syndicates are great for investors. – Top investors that have syndicates get early access to the best startups. This is valid. Startups like Square that over-subscribed will not be accessible to your typical AngelList investor. – If an investment is a big winner, nobody should complain that they have to pay 20% to the syndicate. You’ll be too busy giving high fives. – Access to follow-on rounds. Mark Suster has a great blog post on the value of syndicates. For angels, the primary value he sees is that: In most deals angels have few rights. One of the most important rights is “pro-rata” rights to invest in subsequent rounds. With angel money being “packaged” and aggregated into large bundles it makes it easier for angels to ask for rights it might not otherwise have. – To have good odds of a success, you will need to make 10 investments. That’s a lot of work. Until there is more data on the performance of the syndicates it seems that syndicates can be a good alternative investment to balance against public market investments. However, for people that aspire to really participate to in the angel investing market there you really need to make direct investments, get to know the founders and help them to succeed. Working in online advertising, I’m accustomed to backlash from people who think what I do is bad for the Internet. While there are no doubt plenty of bad ads on the Internet, I’m happy to defend online advertising. 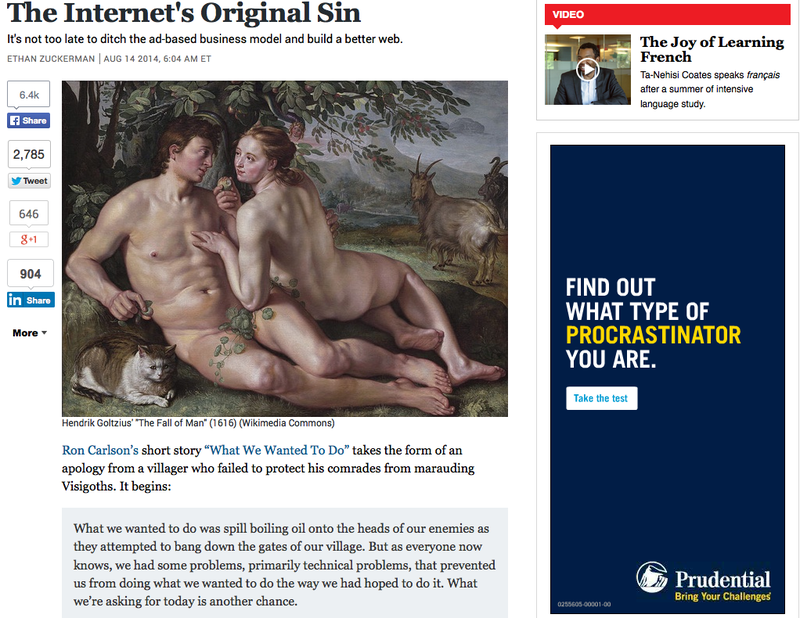 From Google search, to Facebook to TheAtlantic.com I get access to great ad-supported products. 20 years in to the ad-supported web, we can see that our current model is bad, broken, and corrosive. It’s time to start paying for privacy, to support services we love, and to abandon those that are free, but sell us—the users and our attention—as the product. The article reads like it was tiring to write. There’s a simple answer if ads bother you. Install an ad blocker. If enough people run ad blockers the people who wrote the article or created the app will have less money but it’s a choice. If it bothers you that other people are seeing ads and you think instead they need to be paying money to read content it seems to me that you are nosy. Or if you have a solution to the problem then start a company, raise money. Surely there are many advertising driven companies that would work with you if you could replace their ad dollars with dollars from your new business model. As it happens I worked at a company that wanted to get consumers to pay for content. Border’s Books Louis Borders started the company called KeepMedia which would charge people $20 per month to read content on the Internet. It and other models really haven’t worked. Zuckerman’s answers are to point to Bitcoin and a Reditt program for micro-payments. He dismisses ad models such as Facebook’s as “Investor storytime.” In other words sites make so little from online ads the only way they support it is to raise money from investors. It seems to me that the ad model that Google and Facebook work on is in fact working very well and is not Investor Storytime. I’m willing to bet that another twenty years from now the ad-supported model will be even healthier. My driver to the airport recently made some comparisons between Uber and Comcast. He’s a classic Brazilian immigrant to the US who is hustling, working at both Comcast and as a black car driver. Most of his driving income comes from Uber. His take on Comcast is that it’s a mafia that has no equal. He helps other Brazilian immigrants when they get screwed by Comcast by calling Comcast customer support and predicting to them how they are going to screw the customer next. With Uber, he agrees it’s generally a great consumer service and as a driver he’s sure he can stay busy. However, he explains that he recently bought a 3 year old Lincoln Town Car and he got a message from Uber indicating that he needs to get a car that is two years old or newer. If he’s not in compliance he can’t be part of the Black Car Service. Our driver thinks that’s fair to have car age requirements but complains of Uber’s arrogance because he got so little notice. He would have bought a newer car if they cared to give advance notice. He said he tried to get in touch with Uber to discuss but he couldn’t find anyone to talk with. Given this, our driver’s hope is that Uber will see stronger competition from Lift or even newer entrance. But our driver says he drives one of the investors in Uber who tells him that Uber founder Travis Kalanick is not exactly a nice guy, so our driver is convinced he will get his monopoly. If Uber indeed continues to squeeze the driver pool to make a great customer service than a better comparison might be to Walmart which squeezes suppliers because they can. 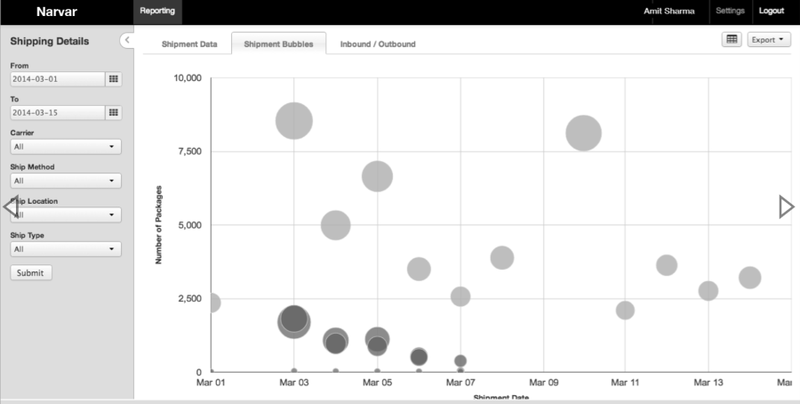 Scanning the trending startups on AngelList, Narvar stands out. 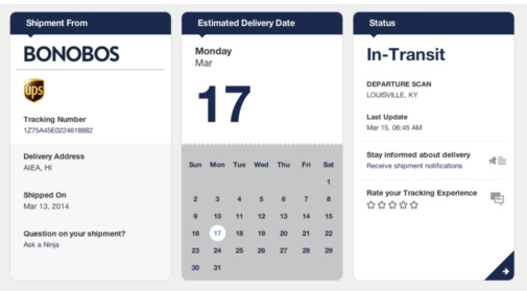 Their idea is that post eCommerce purchase, most vendors send their uses to Fedex or UPS to track. Narvar wants to brand and customize that experience for the user, while also building tools to help the stores to track shipments. Narvar indicates that most eCommerce focus has not been on the post sale and yet much of the cost for eCommerce companies is in shipping and generally costs here are much more vs. what Amazon.com pays. Narvar says it has 22 live clients, 8 in pilot, 25 in pipeline and is cash flow positive. Moreover, they have some nice, fast growing brands like Bonobos and One Kings Lane. One ding that might keep some investors on the side-lines is that the co-founders don’t have successful startup backgrounds. CEO Amit Sharma rose to Director level at Walmart.com and then worked in supply chain at Apple stores. No doubt it’s good background for this operation but many people want to know you can handle the startup life. It seems that the Narvar team has done a lot thus far with a small team and unless there are some personnel issues here we’d be surprised if they can’t close the seed round of $500K that they are looking at. Watching CNBC yesterday I was embarrassed for Bats’ CEO William O’Brien. He came across as paranoid, rude, a bully, and not very smart. Few people outside his building know who he is and yet he felt he had the credibility to call Flash Boys author Michael Lewis a liar and throwing down a ‘shame on you’ for scaring investors. Lewis was holding all the cards He was on 60 Minutes, NPR Fresh Air, his book will surely be a best seller, and the FBI had that day announced that it was investigating high speed trading. Moreover, unlike the complex mortgage fiasco that Lewis previously covered, high speed trading is a fairly simple cheat that Main Street will be able to easily understand. In his opening chapter, Lewis describes the secretive laying of fiber optic cable between Chicago and New York so that high speed traders could have faster access to future’s data than anyone else. He goes on the describe the disruptions from flash crashes connecting profits that some high speed traders make while providing little to no value to economies with the risks that they introduce. Lewis later commented that Wall Street is scared of press coverage. Under pressure from technology the middle-men of Wall Street have less value so turn to solutions like high speed trading that cheat the system and don’t provide much value. O’Brien gave Lewis a huge gift by demonstrating with his big mouth that Wall Street doesn’t tolerate critics.